Ok, so I know that we are supposed to be on the wagon, down the gym and following a blameless diet but before I can start all that there is the question of leftovers, and what to do with them. I can’t just chuck them out, that would be wasteful and along with all the anonymous foil parcels I daren’t unwrap that are lurking in the fridge there is half a jar of mincemeat, a couple of spongy apples and a loads of nuts in shells staring at me accusingly. Why oh why do I always buy so many nuts in shells when nobody eats them? I think it’s the memory of my dad cracking shells from a big basketful on his lap while wearing a slightly wonky paper hat that means Christmas is just not the same without them(or him). And he would always pass me a couple, but never the brazils, they were his favourites. So with family coming for the weekend the only answer to my dilemma is of course cake. This is a pretty hands-free recipe as most of the work is done in the food processor so in a matter of moments it’s ready to fling into the oven. It makes a good sized cake and if you can’t eat it now it will freeze beautifully ready to reward you for losing that first couple of kilos. Heat the oven to 160C/fan 140C/Gas 3. Butter and base line a 20cm deep cake tin. 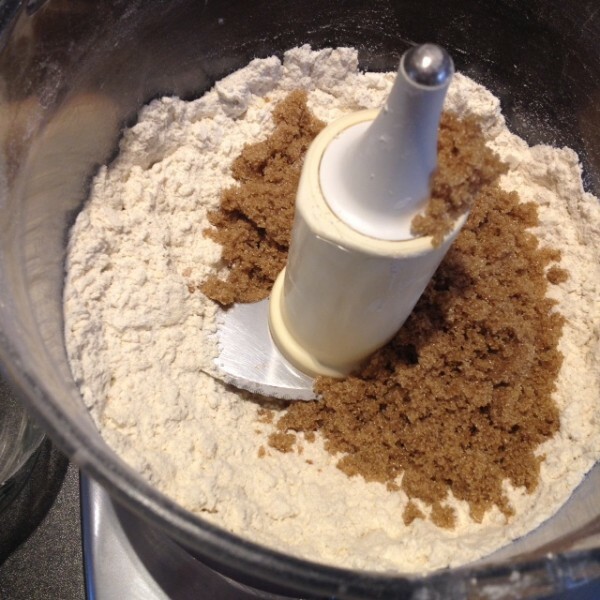 Tip the flour and spice into the food processor, add the butter, cut into cubes and process to form a crumbly texture. Add the sugar and process briefly to mix. 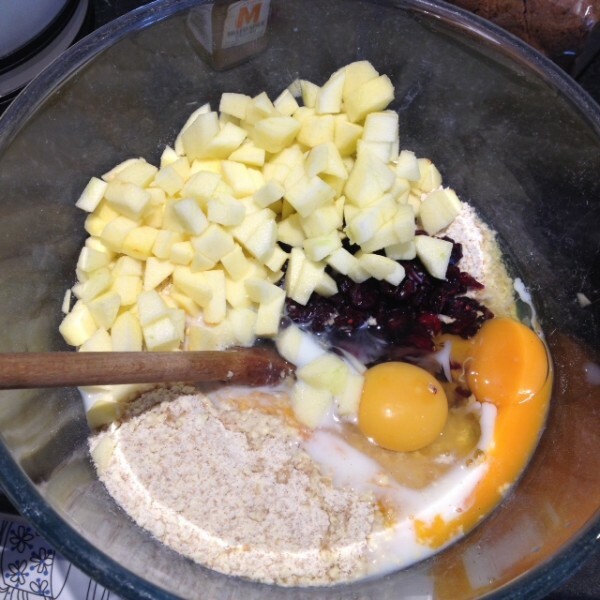 Tip the mixture into a large bowl and add the eggs, apples, raisins and milk. Beat together until it all comes together to a soft batter with no dry mix visible. Spoon half the mixture into the prepared tin and smooth over. 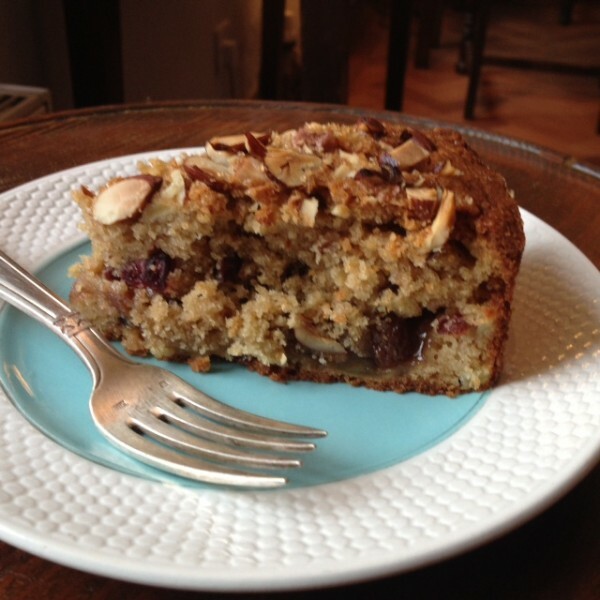 Drop spoonfuls of mincemeat evenly over the top, then carefully smooth almost to the edges. 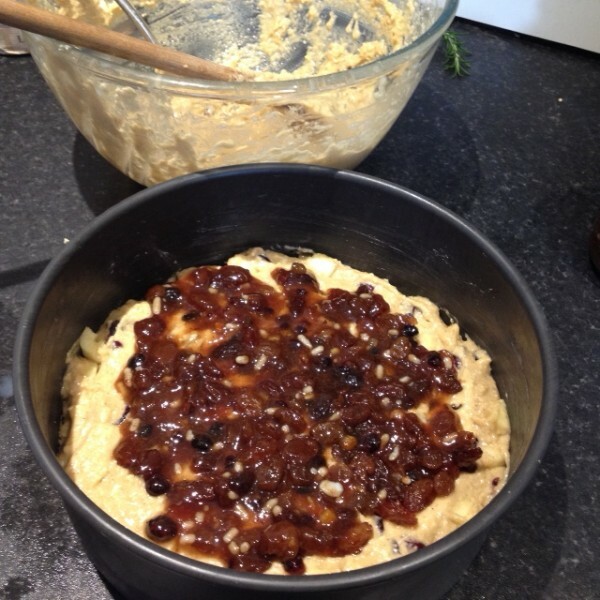 Spoon the remaining mixture over the mincemeat and smooth the top. 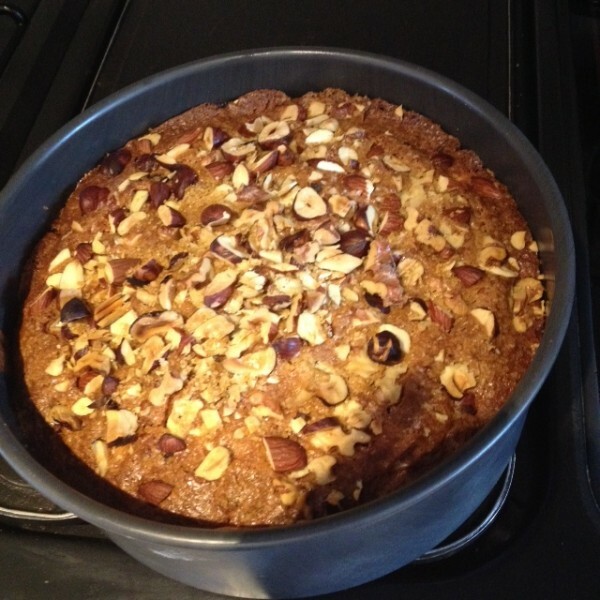 Scatter with nuts and demerara sugar and bake for 1-1/4 hours until the cake is nicely browned and firm to the touch. Cool in the tin for 10 mins, then turn out, peel off the paper and cool completely before cutting into generous slices. You can dust the top lightly with icing sugar if you fancy. 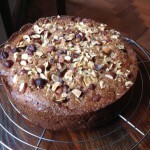 As this cake contains fresh fruit it will only keep in the tin for 3-4 days. 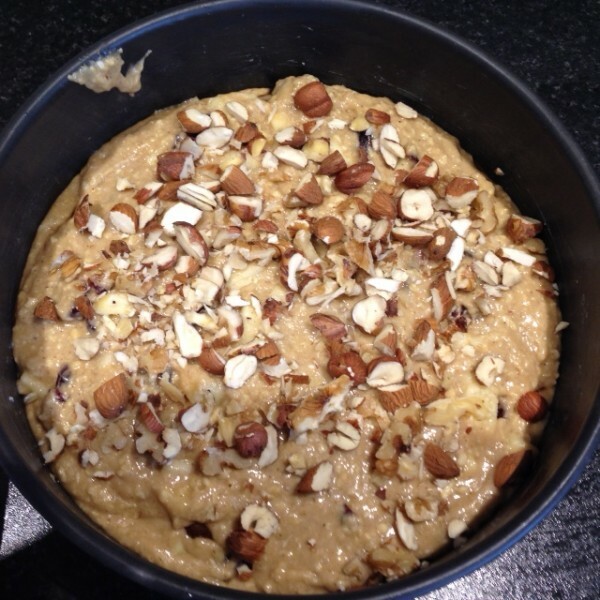 This entry was posted in Baking and tagged apple, cake, freezing, leftovers, mincemeat on 9th January 2016 by admin.